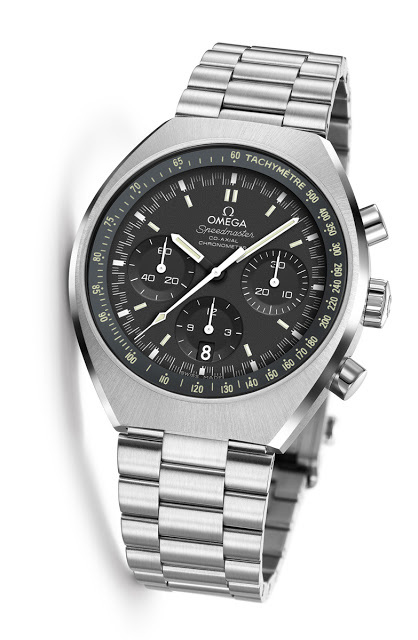 At Baselworld 2014 Omega will present the Speedmaster Mark II, a reissue of the 1969 original. Though almost identical to the original, the new Speedmaster Mark II is updated and improved, most notably with the in-house Co-Axial cal. 3330 movement. 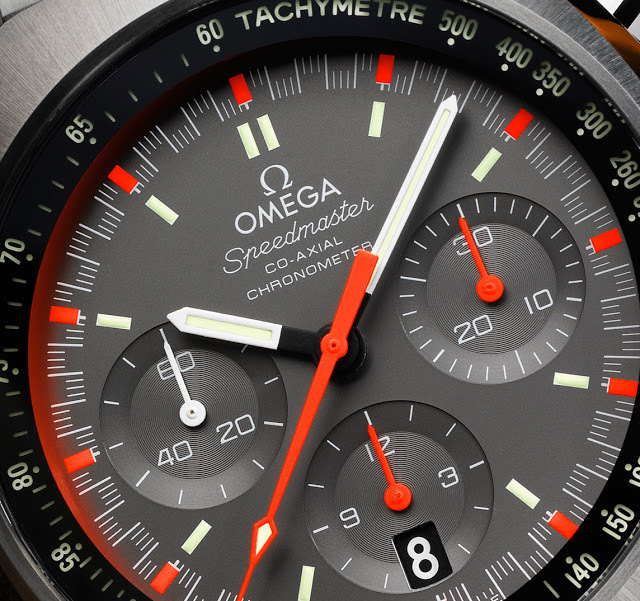 First unveiled in 1969, the same year astronauts took a walk on the moon wearing the Omega Speedmaster Professional, the original Speedmaster Mark II was equipped with the hand-wind cal. 861 and a typically seventies tonneau shaped case. Omega has ditched the cal. 861 in favour of the Co-Axial cal. 3330, added a couple of other upgrades, but kept the distinctive, brushed steel case. And two dials are available, a classic black and a multi-coloured “racing” dial. 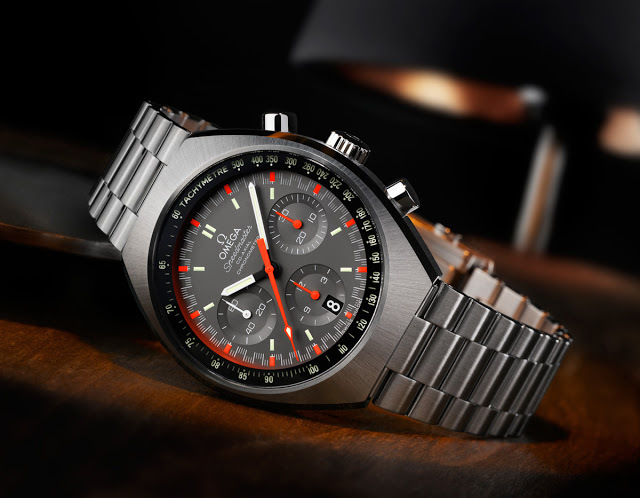 The second seventies reissue in as many years (the first was last year’s Seamaster Bullhead Chronograph), the new Omega Speedmaster Mark II is equipped with the cal. 3330, an automatic, column wheel chronograph movement fitted with the Si14 silicon hairspring. Like all other Omega movements with the silicon balance spring, this comes with a four year warranty. Another notable feature is the tachymetre scale, which is printed on the underside of the sapphire crystal. Thanks to an aluminium ring filled with SuperLuminova which sits directly underneath the tachymetre scale (similar in principle to the sandwich dial construction), the numbers of the tachymetre are illuminated from below, making them legible even in low light. 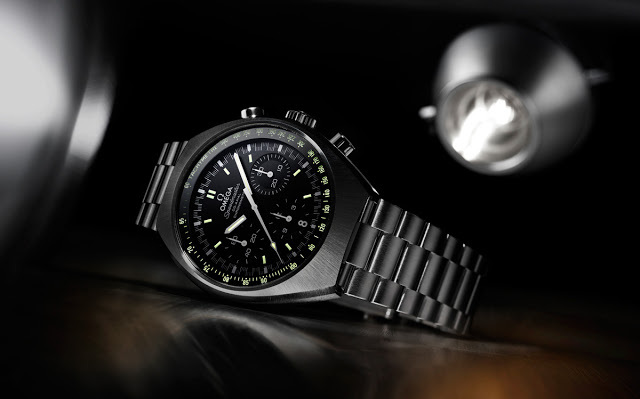 The sandwich tachymetre scale is available for both versions of the new Speedmaster Mark II. One is black with white hands and markers, the quintessential look for a Speedmaster. 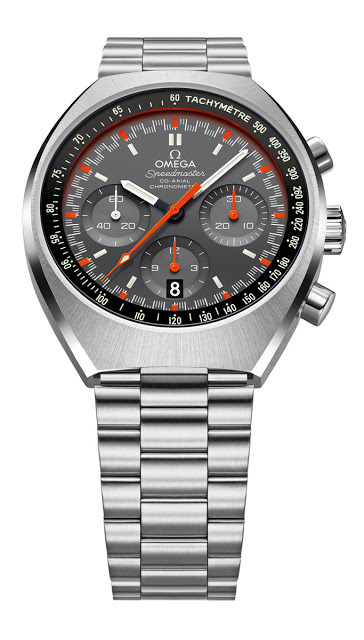 The other has the same design, but is in grey with the hour indices and three chronograph hands in orange, what collectors have nicknamed a “racing” dial. Fitted with a sapphire crystal, the tonneau case is brushed steel and water resistant to 100 m. A pusher for advancing the date is recessed into the case at 10 o’clock. Both versions of the Speedmaster Mark II will retail for 8050 Singapore dollars including 7% tax, which is equivalent to about US$6350 or €4650. Follow us on Facebook, Instagram and Twitter for updates and news.